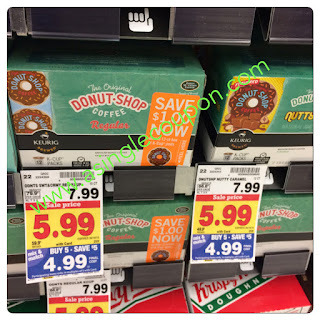 Kroger: K-Cup's for as low as $0.25 each! This morning I was walking around Kroger and stumbled onto a pretty good K-Cup deal! Look at your local store for the ones with the $1/1 coupon on them!